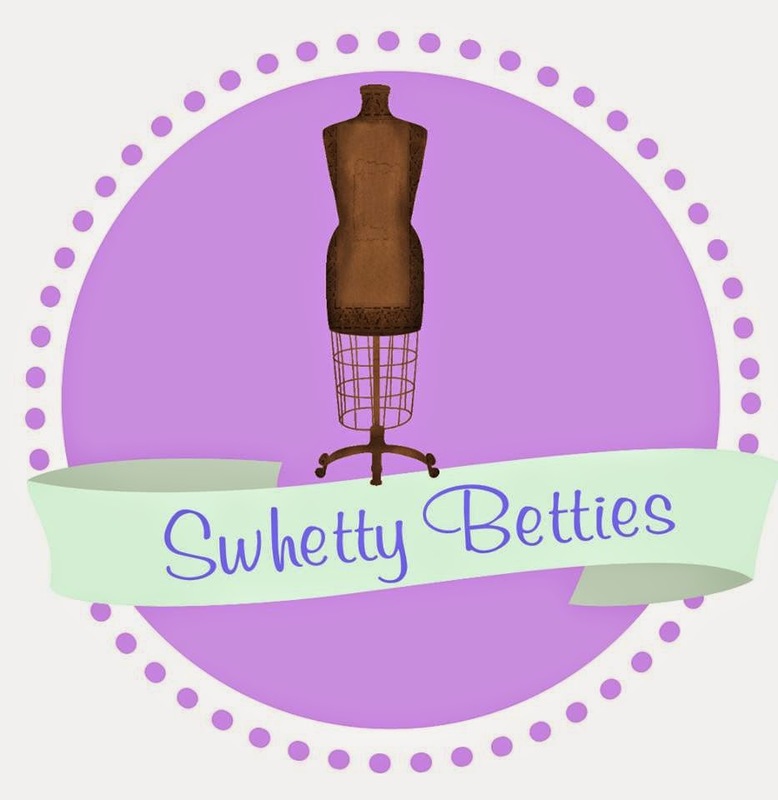 Hi, I'm Sarah and I usually post about my sewing creations, pattern testings and reviews on my own blog so I was pleasantly surprised when Vicki asked if I could blog for Bishy Barnababes as part of the Swhetty Bettiestester appreciation pattern tour! 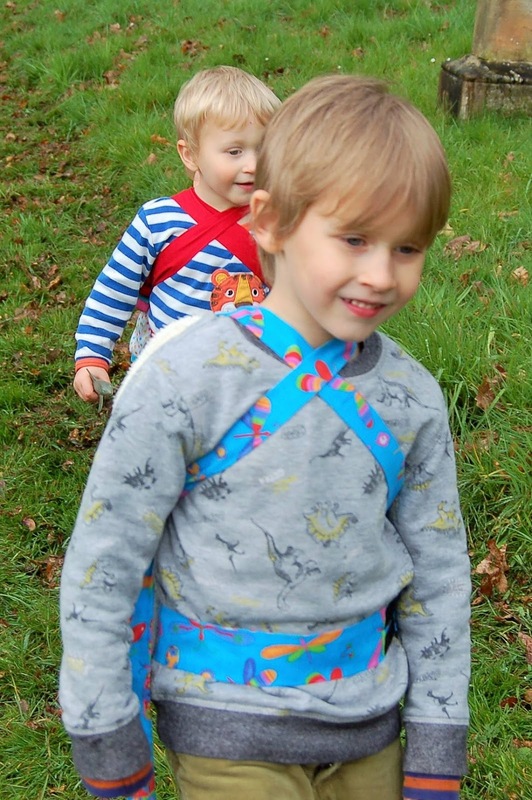 I have been testing sewing patterns for a while now and whilst the majority of them are clothes, every now and then an 'accessory' pattern pops up which seems perfect for someone in our family. This time it was theCuddly Carrie​r by Bishy Barnababes. Being a babywearing family, this toy version is right up our street! Having tested all of the previously released Bishy Barnababes patterns, I knew I was in for a treat with this one too. The instructions are very in depth with lots of extra hints and tips along the way and bar a few minor changes, the pattern was already ready to go with a very professional feel. Vicki is great to test for as she listens and responds to everything every tester says along the way, I always know my input is valued and therefore always happy to help her out with tests. Following very strict orders from my youngest, who told me exactly what his 'baby' wanted, I actually made the plain non animal version for this test using quilting cotton and d-rings in the middle sizing so that my eldest son could also wear it if he wanted to. 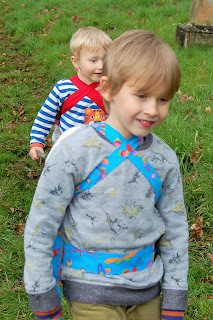 Having completed the sewing testing, my children took it upon themselves to complete the wearing testing, which of course involved jumping, spinning, bubble popping and running and lots and lots of laughing and happiness! The pattern includes instructions for 6 different animals as well as how to do a plain version or one with an appliqué of your choice. There are also 2 sized panels to accommodate different dolls and cuddlies with a guide as to which suit which side included. 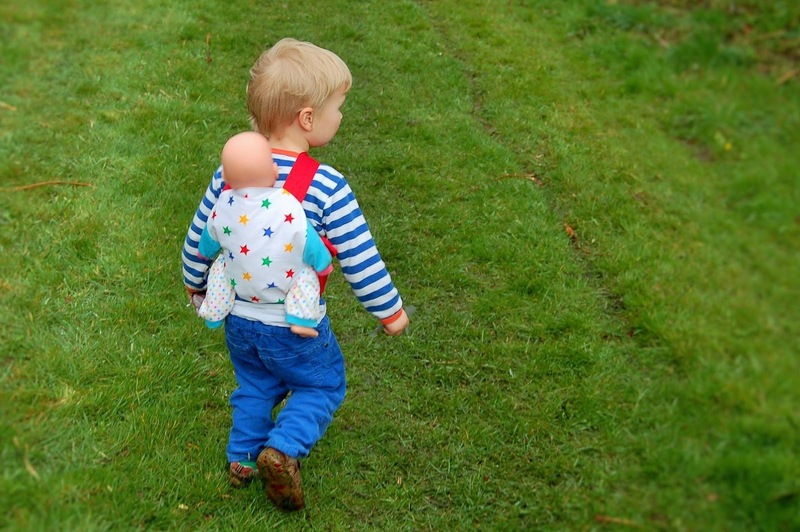 There are various waist and strap lengths and a choice of snap or d-ring fastening to make the carrier fit up to around age 10. Directions on increasing the length of the straps are also included. Vicki has really thought about everything to make sure it is able to be worn by as many children as possible. 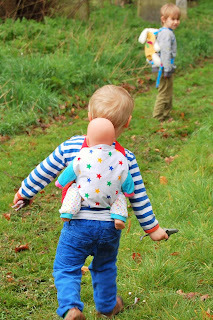 My eldest borrowed one from Vicki to be able to join in with the playing, testing and photos but he has requested his own to carry his bears now, so I'll be sewing that up soon! To get hold of your own copy, click here! It is on sale for £3.50/$5 (excl. VAT/Taxes) and you get 20% off with the code CUDDLY or join the Bishy Barnababes Facebook group for an even better discount code! 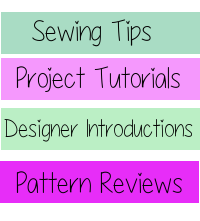 I look forward to seeing your versions appearing around the sewing boards!